You can underline the American in American Contemporary this time, because Hop Saint innovates on traditional Southern cooking in a way that is rare not just in the South Bay, but anywhere. The bright, lively restaurant has a brewery in the corner but serves much more than bar food. The menu changes regularly and features ribs that have a little Asia and a little Memphis in them, flatbreads with boutique farm vegetables, duck and mushroom gumbo, and much more. This is a contemporary restaurant that doesn’t just serve American food, they celebrate it. 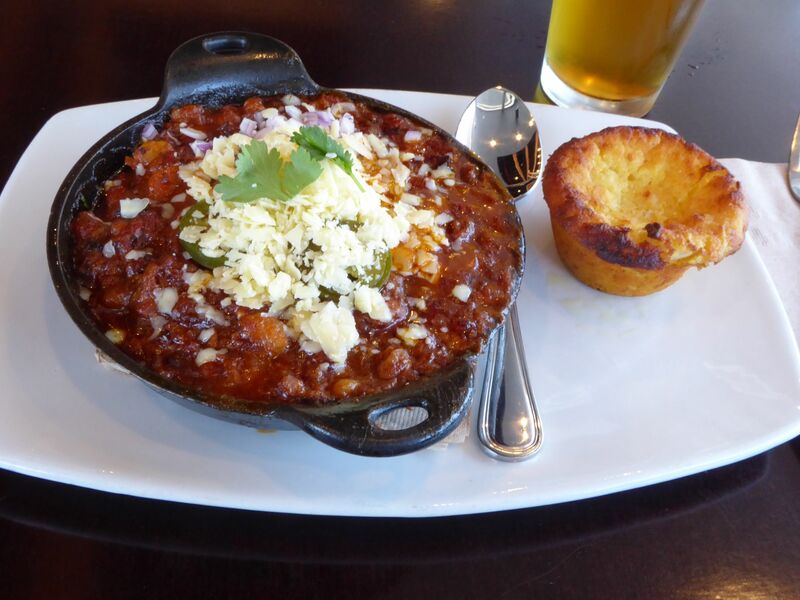 On Sundays you’ll see cast iron pans of chili go by topped with onion, sour cream, cilantro, and jalapenos, with perfect cornbread muffins on the side. It is clearly made by a master who stirred smoked brisket trimmings into that slowly simmered sauce until everything reached rich, smoky perfection. it takes a whole day to cook down. This is a contemporary restaurant that doesn’t just serve American food, they celebrate it. The location in the corner of a shopping center doesn’t look much like a traditional Texas ‘cue joint, but the flavors here are straight out of Dallas. Dickey’s BBQ started in that city in 1941 and is now a multi-state operation run by the third generation of the family. Their formula is simple: rub the meat with spices, smoke it for a very long time, and serve it with the sauce on the side so those who want theirs plain can savor that meaty, spicy goodness. Enjoy the brisket, ribs, or chicken, or change it up with turkey or sausages, it’s all good. Brazilian barbecue is different than the American variety, grilled with minimal seasoning so the spotlight is on the natural flavors. Silvio’s, the barbecue on Pier Plaza in Hermosa, had been wildly popular as a vendor at Fiesta Hermosa for before they opened just steps from the pier in 2007. It was a smart move, because both locals and tourists loved it. The chicken, sirloin cap, and tri-tip that are standard in this cuisine have been joined by mahi mahi, shrimp, and even a traditional Mississippi style barbecue for those who like theirs saucy and spicy. Whether you put it on top of a salad, between bread, or just devour it on its own, Silvio’s hits the spot. Years ago, Shellback bartender Rico De Alba was on a trip in Mexico with Shellback owner Bob Beverly. The two pulled off at a small roadside stand. Beverly went for a Modelo and asked De Alba if he wanted a beer. De Alba, who almost never drinks, declined, and reached for an Orange Fanta, the kind of oversized Mexican soda made with real sugar, which makes it taste different than what is typically served north of the border. It hit the spot amid the dry heat, and an idea was born. Years later, the “Fanta” shot, powered by orange-flavored vodka, is undoubtedly the quintessential South Bay intoxicant, and it’s somehow appropriate that De Alba would have invented it while on vacation. De Alba likes to be busy. Asked if he ever wishes he could have weekends off, he said he has “never thought about it.” He prefers the summer to other seasons, and likes crowded weekends best of all. There is of course the money that comes with extra people, but De Alba also seems possessed by nervous energy: before sitting down for an interview, he moved to make way for newly arrived customers and, after relocating, he got up again to help customers adjust the blinds. He’s been working at Shellback for more than 20 years, and can be seen just about anytime the beachside bar has a spillover crowds: championships won by the Lakers and Kings, holiday fireworks, and of course volleyball tournaments. Watching De Abla behind the bar, it’s understandable why. He moves with a graceful ease, and always seems several steps ahead of the crowd. On the rare occasions where he needs to come out from behind the bar, he moves with cat-like quickness. Amid the throngs of people looking for drinks, De Alba credits his ability to keep his cool to not drinking on the job. But while the high volume that Shellback does means that he doesn’t always have time for pleasantries, De Alba has the same goal for each customer, be it regular with a tenure measured in decades, or a tourist stepping in for the first time. “Try to make them feel at home. That’s how you’ve got to make everybody feel,” he said. As Voltaire said of God, if Shellback did not exist, it would be necessary to invent it. Located just up the street from the Manhattan Beach Pier, Shellback fills the same niche as God, even as the area around it transforms. There’s a reason people returning to the South Bay during holidays and breaks from college always seem to find one another there: like everything about the place, it feels inevitable. The temperature on the Bud Light, typically kept at an icy 29 degrees, is monitored and announced to patrons with a digital display. The decoration is scattershot, and rarely updated. Pennants from local sports teams are scattered along the ceiling amid replicas of oversized checks awarded to the winners of volleyball tournaments, some of which are no longer in existence. A few pictures of old Manhattan Beach hang on the wall near the server station, confidently framed and covered with glass despite being well within range of the flailing arms of a stumbling customer.On the back wall is a mural of the Hyperion Outfall Serenaders, the Official Band of Manhattan Beach since 1976 when the band was knighted by Mayor Joan “Queen” Dontanville in 1976. The whole thing is arranged north to south, with booths up front and an area for those who’d rather stand in the back. This is one of Shellback’s masterstrokes, the way its fixtures create tiny ecosystems. Everyone is not only having a good time: they’re convinced they’re having the best time of anyone in there. Over the last decade, the strip of Manhattan Beach Boulevard that Shellback anchors has seen an influx of restaurants with fancier vibes and pricier menus than Shellback. These places are new in the chronological sense, but they also represent a break from the past. While the South Bay nightlife scene was once overwhelmingly local, today Manhattan Beach is one of Uber’s top destinations in Southern California, and many are drawn to the prospect of an exotic meal at a sought-after table. But after dinner at, say, The Strand House, patrons with a little more night left in them can reliably be found heading across the street to Shellback, where they can be confident that things have stayed pretty much the same. 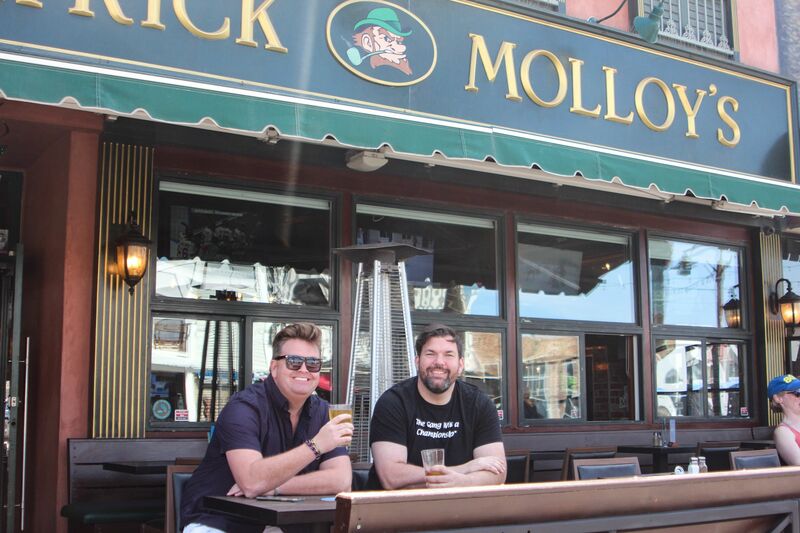 Grab a seat and a cold beer on the patio at Patrick Molloy’s on a sun-soaked afternoon, and you’ll doubtless see people reaching for their smartphones. They’re probably tempted to capture the majesty of Pacific Ocean as it laps at the not-too-distant sand. But looking around at your fellow customers, you’ll also see something downright rare in the days of screentime: people putting the phone away for a little while. Conversation flows easily with all the human inspiration walking, biking and skating by. And there seems little need to check the time when you can so easily see man’s original clock sinking into the horizon. The only difficulty might be getting up. “We really want people to be as comfortable as possible,” co-owner Patrick Bastian said of the thought behind patio atmosphere. This includes plenty of little touches, including supplying bowls of water for people who want to bring their dogs. The patio is less exposed to the noise and flash of televisions, but savvy locals know that the patio can actually be a good spot to take in a game, Bastion said, with a screen all to themselves. The restaurant stretches the meaning of the phrase “Happy Hour.” On weekdays, deals are available on the patio all day, until 7 p.m. The most popular items on the happy hour menu tend to be things easily shared: think chicken wings, plates of fish tacos, and the restaurant’s signature deviled eggs. Bastion notes that rosé is having its moment, joining the perennially popular cabernets and chardonnays. Patrick Molloy’s is also expanding the share of draft handles devoted to local breweries, including Redondo Beach’s King Harbor, and just debuted a cider from a Gardena called Honest Abe. If Patrick Molloy’s appears to have things figured out, that does not mean that they are resting. “At one time we had a large menu. A while back we cut it down to simplify. But we had a lot of people coming in, asking for things they used to get. So we’re coming back with some of them revamped, with higher quality,” Bastion said. They draw on their Irish theme with the corned beef Reuben sliders, fish and chips, and Guinness shepherd’s pie; on beachy Californian faves with the fish tacos and chipotle Brussels sprouts; and offer fresh salads for those who are staying healthy in a bar. The classics like wings and burgers are there too, so you’ll find something you like to help that beverage go down easy. “The big thing we hammer home is customer service, the best customer service possible. If there was one thing we could always be number one at, that would be it,” Bastion said. The most gratifying moment of Johnny Dice’s day falls between about 5 p.m. and 8 p.m., depending on the time of year. It’s the moment when he heads toward the entrance of Hermosa Brewing Company, where he works as a server, bartender and general manager, and opens the drapes that cover the restaurant’s large windows, which look west out onto Hermosa Avenue and, a bit beyond that, the beach. When the light is more intense, the restaurant will keep the blinds closed, to keep the sun out of customers’ eyes. But as the hours unfold and the view shifts from blinding white glare to spellbinding display of purple and orange, there is a particular moment at which people go from wanting to be completely shielded to completely exposed. “All at once, everybody in the place just says, ‘Ahh,’” Dice says in imitation, sighing and sinking into a seat against the restaurant’s south wall. It is one of the many subtleties that Dice and fellow server Katie Lastition have mastered to win accolades at Hermosa Brewing, which has been open for just over a year. Both credit the warm reviews from customers to the sense they each have of feeling at home in the place they work. “I love it here. I’ve seen it make a difference in my life,” Lastition said. 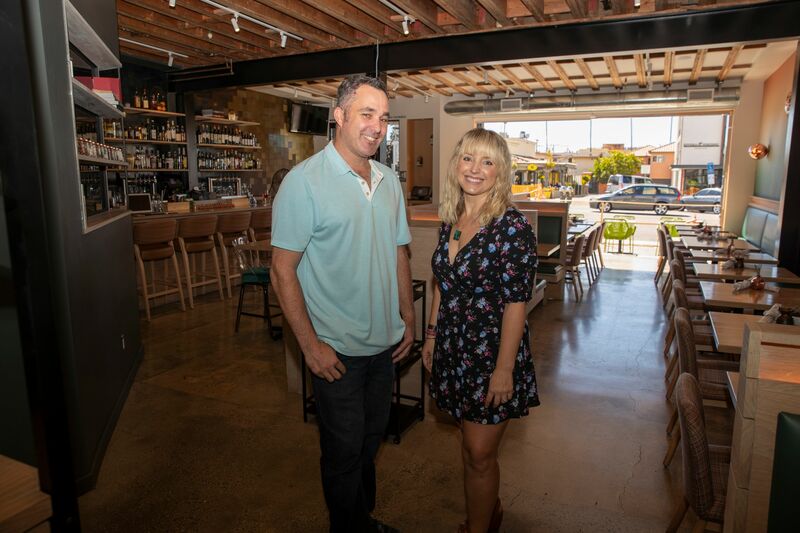 Unlike other restaurants she has worked at, including some large chains, Lastition said that there is an environment of “mutual trust” at Hermosa Brewing that puts the restaurant’s tight crew at ease, which in turn makes customers more comfortable and helps them enjoy the experience. Both Dice and Lastition are from the South Bay and worked in other restaurants before arriving at Hermosa Brewing. In Dice’s case, he has spent more than two decades in various facets of the industry, working in sales, distribution. He previously worked at other well-regarded beer outfits, including Redondo’s Hop Saint and Torrance’s Yorkshire Square. He got a tip about the job at Hermosa Brewing from a friend, and has been there since day one. Lastition came aboard a few months later, having worked in a few other restaurants. She is attending bartending school, and appreciates the way Hermosa Brewing has given her real-life experience, and said it would have taken years to learn all she has on the job. All servers at Hermosa Brewing are at least level one cicerones, akin to being a sommelier for beer. 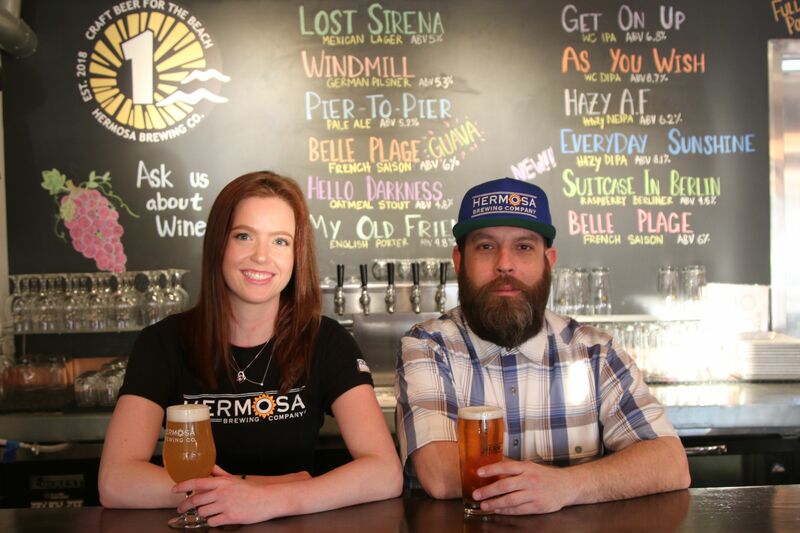 They said that being able to speak knowledgeably about the restaurant’s brews is one of their keys to success — that, and the fact that both genuinely enjoy the beers Hermosa Brewing offers. “I can sell water to a rock if I believe in that water,” Dice said with a laugh. The restaurant’s prime location, in downtown and near the beach, means that crowds can occasionally get intense. They rely on a roughly even mixture of locals and visitors. And sometimes groups with wildly different energy levels can occupy the restaurant at the same time: sand-flecked volleyball players, say, looking to unwind after a long day, sharing the space with a dressed-up group getting an early start on the night. It’s not always easy to give everyone what they want when they want it. Dice and Lasition manage it with a hospitality philosophy based on putting themselves in the customers’ shoes. “I always try to get someone to laugh. If you can do that, you can find common ground, and you can develop a relationship,” Lastition said. 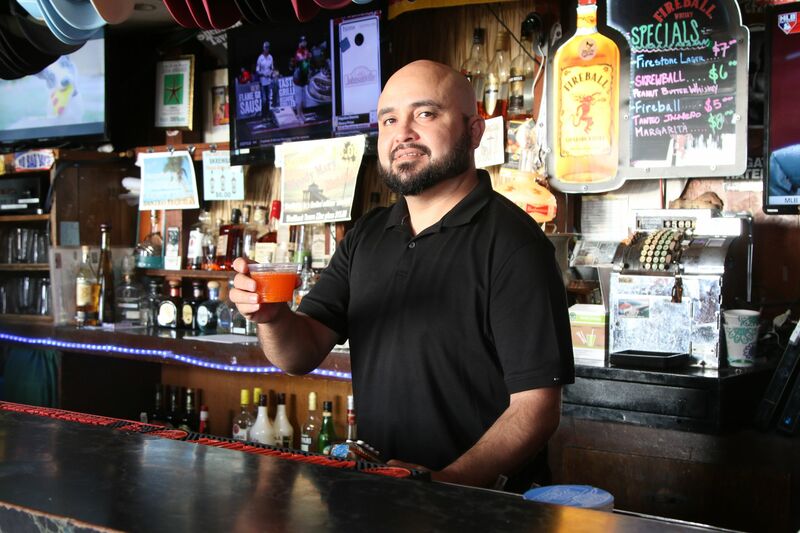 Johnny Dice, general manager of Hermosa Brewing Company, recently had a customer order the vegetarian chili. Dice, surprised, kindly told the customer that the item had not been on the menu for several months. The customer was disappointed, but stuck around anyway, and left happy an hour or so later. The story was a reminder for Dice that, even if an item isn’t one of the restaurant’s biggest sellers, it still might inspire passionate fans. And it encapsulates what endears Hermosa Brewing to customers: tasty food, beer to pair, and options to suit just about any palette. 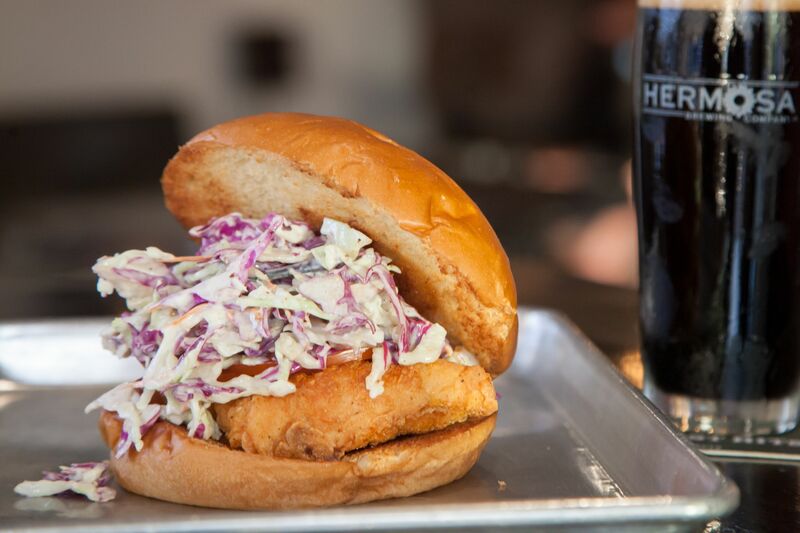 Hermosa Brewing opened in downtown Hermosa Beach a little more than a year ago, and its brews and eats have already produced committed regulars. The restaurant’s tacos draw raves. The flour tortillas are made specially for the restaurant, and customers often ask about buying some to take home. Along with the food is a rotating selection of taps brewed by co-owners Dave Davis and Jorge Delgado. The two are long-time fans of craft beer, but were inspired to turn their passion into something more when they found that the IPA-heavy offerings at many area breweries turned off their wives. The restaurant does have an assertive, hoppy double IPA on tap, but customers will also find less common styles, including an amber lager playfully named after David Hasselhoff. Fitting the name, the layout of Hermosa Brewing draws the customer toward the bar, and all of the servers know their Citras from their Simcoes. But even those who might not be in the mood for a beer will find plenty to enjoy. Never has a Chinese restaurant shaken up the scene like Din Tai Fung. When they opened in Del Amo three years ago, there was often a two hour wait to be seated, and people endured it stoically to enjoy flavors rarely accessible outside a majority Chinese neighborhood. The view from outside of the staff hand-rolling noodles was enough to start diners salivating anyway, because they know how fresh their meal is going to be. Those Chinese coastal flavors have won the chain a Michelin star and international recognition, as well as the nod from our readers which we think is even more important. If there’s a chain bagel place near you, it’s probably a Noah’s – they’re in El Segundo, Manhattan, Hermosa, and PV, and we don’t know how they missed Redondo but are sure it’s a matter of time before they fix this. Their bagels are made in a non-traditional style, in a steam oven rather than boiling the dough before baking it, which gives a soft rather than a hard crust. Our readers have oscillated over the years between traditional and modern bagels, and 2019 is the modernist’s year. They’re available in all sorts of flavors and made with many different grains, and they really do take the humble bagel to new places. If you’re taking someone to the Standing Room for the first time, you’ll probably order a Napoleon burger even if you feel like something else just to see their expression when it arrives. That sky high burger is so awesome and Instagram-ready that you might choose it over their other excellent but less outrageous burger variations. Most have elements of Korean and Asian fusion, but they do offer a veggie version and the American classic with lettuce, pickles, and American cheese. 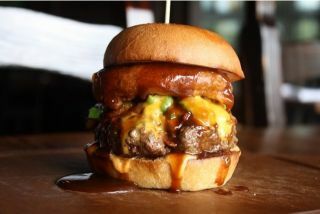 From backyard to baroque, they have a burger for you. The vote by our readers is only one sign that this place is on to something – they’ve grown from one location to four since opening in 2013. Though their process looks deceptively simple, blending and juicing fresh ingredients and combining them, they do something you can’t do at home. Well, perhaps you could if you keep nine varieties of fruit at peak ripeness on hand, and eight juices and milks, and a whole bunch of add-ins, and… wait, you can’t do this. Let them, they’re pros, and afterward take your bowl or smoothie a block to the beach and enjoy. Some people love the ceremony of Korean dining as much as the food – the array of side dishes, the meat grilled at the table, and so forth. Pacific Rim is not for them. This cafe offers Seoul flavors with a Hermosa Beach vibe, home cooking that happens to be from a Korean home. Though Pacific Rim changed ownership a while ago there’s still the same commitment to healthy dining, big, spicy flavors, and low prices. If you want a fancy meal then you can take it home and serve it on nice china – you’re going to be taking it somewhere, because they’re to-go only. If you’ve been to a party where the cake was particularly beautiful or innovative, chances are that it came from Becker’s. The business has been around for almost 80 years. Three generations have contributed ideas that wow children and adults alike. The connections can be lifelong, because a kid who had a Becker’s cake at their first birthday party had another for their high school graduation, and again at their wedding, anniversary, and on to their retirement party. Becker’s is a rare island of stability in our changing scene, a sentimental favorite that wins over newcomers to the area. All omelets ought to be about the same, because they’re just an egg pancake folded around a pretty standard variety of stuff. Nevertheless we all know a good one when we experience it, one where the eggs are fluffy and light, the filling in balance so neither the omelet nor we are overstuffed. Good Stuff only offers five omelets on a regular basis, and they nail them all. The plate is rounded out with your choice of fruit or potatoes and toast or their famous muffins, and it’s how the South Bay has been starting the day for almost four decades. Muffins look a lot like a cupcake with no icing, because that’s basically what they are. A little something sweet — but not too sweet — starts the day very well. Whether you get them with coffee and go on your way or as a side dish, you probably go to Good Stuff. They’ve been baking muffins for decades in flavors that include coconut pineapple, blueberry oat, and manana walnut. The flavors change on a regular basis, possibly so the person making them won’t get bored, and customers can change up their experience with confidence because they’re always delicious. Hermosa’s little piece of France has had only a few changes to their menu since the current management took over in 2004, and none of them have been to the core menu of crepes. The thin, crisp pancakes stuffed with savory or sweet fillings are so popular that they probably couldn’t remove one without causing a customer uproar. The appeal is as timeless as it is broad, and that’s why the Hermosa Beach original has spawned six offshoots, with more on the way. Those crepes may seem like an unlikely base for a business empire, but their popularity is obvious. The company is growing even though the menu at their flagship location isn’t. There are some creative items on the menu at Hook & Plow, but this kitchen’s focus is not on dazzling you with innovation, but feeding you a great meal made with high quality, sustainable, and local ingredients. The spicing is generally subtle, so Sriracha and pear coexist in a sauce that finds its way onto a sandwich that also contains seasoned pork and slaw, but you can taste all of it. Come here for natural flavors subtly enhanced, and be sure to check the specials board – something great may have come in from the farm or dock that day. When you do only one thing, you have to do it very well. In-N-Out makes their burgers with fresh meat, and makes sure you can taste it by not giving you many options to cover it up. It’s the great American burger straight from the 1950’s, with pickles, relish, grilled onions, mustard, lettuce, and American cheese. They keep it simple, make it fresh, and they’ve been doing just that for 71 years, so aren’t likely to change. For Americans who grew up on spongy white bread, the taste of different grains, the texture of crust and chew, was a revelation. In the early 1990s bakers everywhere rediscovered those traditional virtues, and the first specialist in our area was Manhattan Bread and Bagel. The ovens have been turning out crusty baguettes, whole wheat sourdoughs, and other delights since 1994. They bake smaller batches than most of their competitors, doing things by hand, and you can tell the difference. Though W’s has once again won the category for Chinese food, much of their food is a style not actually served anywhere in China. Overseas Chinese all over the world have evolved variants on their cuisine, and in Peru they achieved a unique fusion with South American ingredients and techniques. This is creatively melded with Californian ideas, which is why you see a salad with gorgonzola and mango along with the Asian ingredients, and why the Chinese beef with mushrooms has a dash of red wine in the glaze. This is 21st Century Chinese, and you can pair it with sophisticated cocktails or jasmine tea, depending on how traditional you’re feeling. This was an interesting result, because while we only asked for people’s favorite restaurant for dessert and our readers were very specific about what they liked. The freshly made doughnuts at the Strand House blew away all other contenders, and until you try them you won’t know why. The doughnuts you had as a kid were vehicles for sugary glazes and fillings rather than a gourmet delight, but at Strand House they’re artfully made. They provide all the fun of childhood memories with flavors that appeal to adult, and what could be better than that? Slater’s has an unusual take on the slider. Instead of a min-hamburger, it’s a mini sloppy joe, a toasted Hawaiian sweet bread roll split and topped with ground beef in tomato sauce, cheddar cheese, and a slice of jalapeno. It’s not quite like any other slider you’ve had, a bit sweeter with a spicy burst in the middle of each one. There are also conventional sliders on the children’s menu, and some adults order those, presumably not with a beer if they’re actually pretending to be under twelve years old. For the food of a giant region with dozens of cultures, we head for a little restaurant in a Hermosa Beach strip mall. Spice Six opened four years ago as a fast food place but matured into a restaurant where everything is cooked to order. It was the right move. The menu isn’t huge, the restaurant isn’t fancy, but the North Indian food they serve has the spicy punch of Indian home cooking. We have reason to believe that people in India don’t make burritos with chicken tikka masala inside, but this is an Indian restaurant in Hermosa, so it makes perfect sense to our readers. Your friend who is a pretty good cook has volunteered to cater your wedding. But do you really want to give a job that important to someone who is well-intentioned but has never done it before? Make sure the event is memorable for the right reasons by giving it to the pros at Lisa’s Bon Appetit. They’ve done it thousands of times and can be counted on to show up with everything you’ll need for a superb party, be it corporate or a family affair. Best of all, they operate two restaurants, one in Torrance and one in El Segundo, so you can get a sneak preview of the food that is going to wow your guests. To find the best neighborhood deli you have to leave the downtowns and get into the neighborhood – specifically, a little commercial strip surrounded by apartments right by the border between Hermosa and Redondo. Mickey’s offers the old-fashioned Italian-style sandwiches, pizzas, and pastas that have been bringing in locals since 1953, and they added breakfast burritos last month. The deli case is packed with freshly made salads and a variety of meats ready to be sliced and packed for your beach picnic. You may have to wait in line for a bit while the people at the register deal with the crush while answering the busiest phone in the South Bay, but it will be worth every minute, whether you eat there or you unpack the goods at home . If you’re dining in, the meatball sub is the thing to get, best eaten at their scarred wooden tables while the fresh bread still has some crispness and the mozzarella is still molten. They make a mean hot pastrami sub, too, and if your taste buds are more attuned to island time the teriyaki chicken with pineapple will take you there. There are cold sandwiches that travel a bit better for beach picnics and for those days when you just want to go home, crack a beverage, and thoroughly enjoy something you didn’t have to make. Either way, the sandwiches are cheap, huge, and will make you happy you went there. 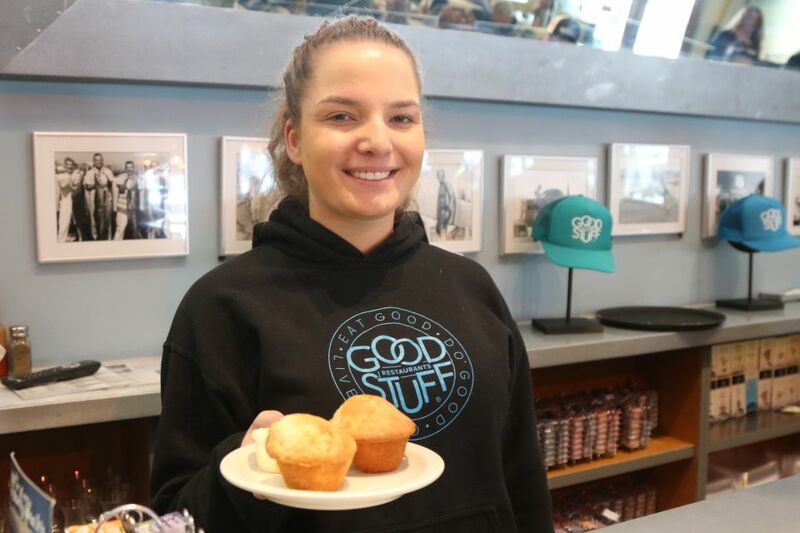 Good Stuff server Gaby Donato, with a Coconut Pineapple muffin. 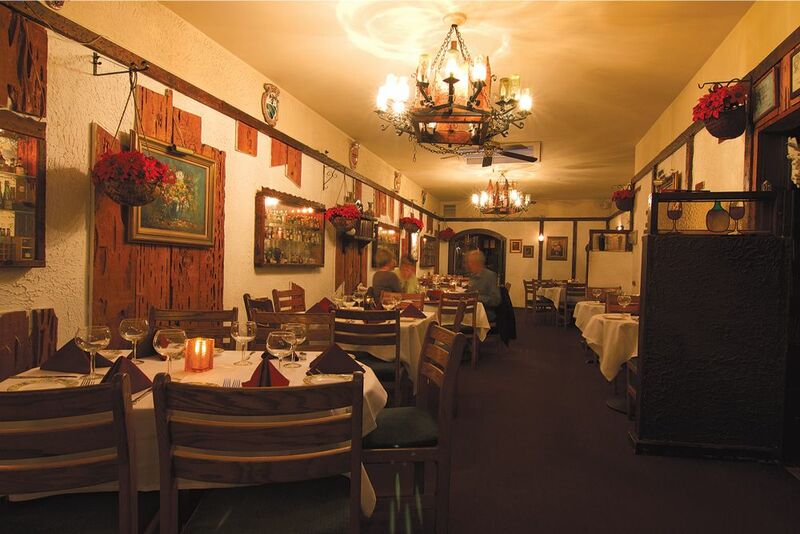 Our readers’ favorite modestly priced Mexican restaurant is the area’s oldest. It opened on Inglewood Avenue just after World War II. The fact that they even qualify for this award may be a surprise to some people since the place looks so upscale – the interior is colorfully and tastefully decorated with old pictures and folk art, and a fountain graces the courtyard. But yes, almost everything on the menu will set you back less than fifteen bucks, and the portions of good old-school Mexican chow will put a smile on your face. Dominique’s serves French country food the way the French themselves enjoy it. The welcome is warm, the room a slightly cluttered jumble that looks like an old-fashioned parlor. The menu is a list of classics and original items that are both unpretentious and affordable – most entrees are $20 or less. Dominique’s is a serene, relaxing place to unwind and enjoy superb food, wine, and hospitality as only the French can provide. When the city is asleep but your stomach is awake, you have few options in the South Bay. One stands above all others, a place that always seems to be busy whether it’s day, night, or weekend. The Kettle started out in the ‘70s as a family-owned coffee shop that was just a bit better than anything else around. They’ve upscaled and expanded their offerings since then but still offer American classics made right 24 hours a day, every day but Christmas. And what do night owls do on Christmas? Probably appreciate having the Kettle around the other 364. The first thing you notice is the architecture, which uses Mexican motifs in a dazzling modern style. It’s a good fit for Palmilla, because the menu is the same. They offer standard dishes made with flair as well as specialties from several regions of Mexico, though if you’re in the mood for prime steaks Mexican style they’ll be happy to oblige. This is Mexican food the way it’s served at elegant restaurants in that country, a rare thing to find around LA. You’ll pay more than at your typical seafood shack, but our readers agree that you’ll be back for more. Readers also recognized Palmilla as the beach’s best tequila bar. There’s more to being a great tequila bar than having an impressive list. Some bars display a vast collection of bottles that are rarely if ever actually deployed. Having a bar staff that knows everything about a good selection of tequilas and can make great drinks counts for more. This is where Palmilla shines. They have a large enough selection of tequilas and mezcals to keep a person who likes theirs straight happy, and they offer cocktails that go well beyond the margarita. No matter what you usually drink, check out their original tequila and mezcal cocktails, and you may find that tequila is a lot more versatile than you thought. Their pros will expand your horizons. If the question is where to get the very finest prime aged beef cooked by pros, the answer is the Arthur J. The mid-century décor celebrates an era before fancy American cooking, when a great steak was the symbol of good living, but the trimmings and accompaniments have the modern diner in mind. The Rat Pack and their followers weren’t enjoying their steaks with Vietnamese caramel sauce or chimichurri, though they would have recognized other sauces like the green peppercorn or fresh bearnaise. You can enjoy those chunks of meat with a wide selection of wines or cocktails made as classic as the décor or as modern as the clientele. Unlike the winner for steak over $30, the Bull Pen is an authentic old school steakhouse rather than a modern reimagining. They’ve been there for decades and haven’t redecorated since the ‘70s, which is probably why they can afford to offer their steaks at a surprisingly modest price. You can get a culotte or New York with soup, salad, and a side item for under $30, not to mention lots of other staples of the classic steak and seafood house. You can live large without spending to match and enjoy a time travel trip without leaving Redondo. One of the downsides of liking Italian food is the pizza negotiation – you know, when people with different tastes try to figure out what kind of pizza they will share. These have been known to start with polite words and finish with fists flying or an invitation to a duel. You won’t have that problem at Paisano’s, which has the area’s largest selection of pizza by the slice. This is pizza as New Yorkers know and love it, thin crusts with balanced levels of toppings and sauce, and whether you like a simple pizza margherita or something with multiple meats and cheeses it’s ready to go in the oven. Your meal will proceed in harmony because everybody gets what they really want. As you might guess from the name, the rotisserie chicken is the star item at Poulet du Jour, but there’s a lot of other items to enjoy here. Some are sides with the plump roasted bird, like fattoush salad, hummus plain or spicy, or their unusual Mediterranean take on potato salad. Others are main dishes themselves, like the falafels, the Arabic rice and lentil dish called mujaddara, and salads. There are so many vegetable items that a vegetarian can be overwhelmed by the variety, which is pretty good for a place named after chicken. Though many cultures enjoy meals of many small plates of food, the Spanish took it to a high art and also gave us the word tapas to describe them. Gabi James became the South Bay’s Spanish food haven as soon as they opened, and they offer tapas that stress big flavors on small plates. Some sausages are made in house, and what isn’t crafted on the premises is also top quality. Traditional tapas paired with appropriate glasses of wine are a perfect way to enjoy many flavors in the course of a light, energizing meal, an idea that fits Southern California as well as it does Southern Spain. Dear readers, you have confused us. You voted for the Bottle Inn as best place for a first date and a romantic dinner, and there are two establishments with the same name. They have almost the same menu but different styles, so we’ll say that both are correct depending on who you are spending time with. If it’s a first date and you don’t want to seem too serious and get all candlelit, you might head for the outdoor space at either restaurant. At the Hermosa Bottle Inn, you can enjoy the moonlight over the beach, at Redondo’s enjoy the street life in Riviera Village. Both are open spaces where nobody feels hemmed in. Better yet, take your first date to brunch, which both restaurants serve, and if it’s going well, stroll the beach at one or the Riviera shops at the other. When it comes to a romantic dinner, if you like modern style and a lively atmosphere, then inside tables at the Bottle Inn Riviera will suit perfectly. The light is soft at night and there’s a conversational buzz early and live music later. It’s cozy in a modern way, while the Hermosa Bottle Inn is a more traditional. The interior there is classic and classy, the volume low so even a soft conversation can be heard. Both serve the classic Italian food that has been a draw for lovers since time immemorial. Five years ago it would have been silly to have a category for poke – Jus Poke had just opened in Redondo Beach and was only one place in the area that regularly served it. Fast forward to now and it’s on restaurant menus everywhere and there are other specialists. But Jus Poke still is closest to our readers’ hearts. It’s not just gratitude for introducing us to Hawaiian marinated fish, but because they do a great job of presenting both traditional and modern versions. There six varieties include spicy versions with wasabi, chili, and Thai peppers, plus a vegetarian version. The people behind the counter gladly give tastes and help you select which is right for you. The term Asian Fusion usually means Japanese or Chinese ideas combined with American mainstream stuff, but Little Sister is different. The center of their world is Vietnam, but items from Nepal to Indonesia are there, both in faithful versions and with modern twists. These are authentic flavors that you’ll find in neighborhoods like Monterey Park, and when Little Sister opened in Manhattan Beach some people were sure they wouldn’t make it. Instead they’ve done so well that bigger locations in Redondo and Downtown LA have opened and are flourishing, too. It’s the latest culinary success to start in the South Bay, and it is well deserved. The interior décor has a New England simplicity about it, and you can get Maryland crab cakes and Northeastern chowder or clams. But Bluewater offers seafood preparations from around the world. Mexican ceviche, Japanese sea scallop sashimi, Italian prawn linguine – they’re all here, along with simple favorites like fish and chips and a great tuna melt. Seasonal specials dive deeper into different cuisines (a “Taste of Louisiana” at the moment, featuring shrimp and chicken gumbo), and fresh items are available on a seasonal basis. Chicken Maison’s birds are less highly seasoned than some roast chickens around town, using just salt, pepper, and patience to get that juicy meat with crisp skin. Those who like theirs zippier can get their wish, because every order comes with pungent garlic sauce, and if you like it hot they offer a spicy lemon garlic or lemon basil. For a family meal you can get a whole bird with sauces on the side and enjoy four different experiences. Since they offer both traditional meals and sides, you can enjoy a varied meal whether you dine in or unpack it at home. If you look at it one way, the Hermosa Beach Fish Shop serves only one salad. If you look at another, they serve over 500 varieties. You see, that simple salad of greens, tomato, cucumber, pickled onions, and capers is a base for your choice of 10 different fish, and those can be seasoned with five different marinades, and then grilled or fried, and… wait, we got the math wrong. There are a lot more than 500 combinations, because they also six different dressings. We could start this calculation all over or just say they have a whole lot of variations on the theme of a fish salad, and leave it there. LA’s oldest vegetarian restaurant is still owned by co-founder Tonya Beaudet and still serves hearty meatless cuisine. The Spot was serving vegetarian food before it was stylish, and vegan food before most people knew what that was. Some items are so old that they’re new – if you’ve grown up on Asian-inflected vegetarian food then their mushroom-walnut loaf may be a revelation. Bring an appetite and bring cash, because they don’t accept credit cards, and give yourself time to relax and soak up the atmosphere of a place that has a spot in vegetarian history. The island of Phuket in Southern Thailand is more famous as an international resort than for their cuisine, but chefs from all over Thailand cook at tourist resorts there. This is a good metaphor for the cuisine at Phuket Thai in Redondo, which serves items from all of Thailand’s regions. The default here is a bit less spicy than some other places in the area, but they’ll kick it up a few notches if you let them know that you like it Thai hot. Even if you don’t, the complex mélanges of spices in most dishes make everything fragrant and flavorful. Whether you’re a pro at this cuisine or are still navigating it, it’s the place to have Thai in the South Bay. Ramen has been increasing in popularity for years. This year, for the first time, a specialist in those Japanese noodles has won for best non-sushi Japanese restaurant. It’s also the first time a restaurant open for less than a year has won it, which tells you just how fast they’ve caught on. Rakkan Ramen makes their noodles in house so they have that fresh springiness, and they serve them in a variety of homemade broths, including some that are vegan-friendly. They’ve raised the standard for Japanese food in the South Bay, and our readers are appropriately grateful. That road outside doesn’t head for the Caribbean, but you’d swear it did from the continuous party inside the Ragin Cajun. 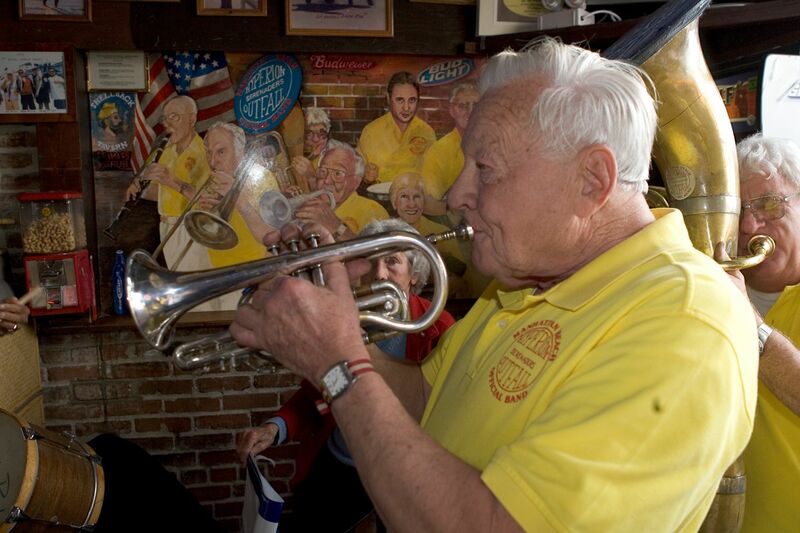 The music is bouncy and energetic the servers cheerful, and the food is everything we love about Louisiana. Most of the food is highly seasoned but not fiery, and there are items like the pork chops with gravy or brisket for those who like it richly flavored but not peppery. Try the jambalaya or gumbo, maybe some fried catfish, and wash it down with a moonshine cocktail or an Abita beer, and you’re where heaven meets the bayou. Want to try the famous food at Palmilla at about half price? Come for weekend brunch, and get the added bonus of enjoying a view of Pier Plaza from their sunny patio. There are entrees for a mere 10 bucks, and the cooking is every bit as good as at night. The chilaquiles are the ones by which all others are measured, and the salchichon scramble, a mix of Spanish sausage and bacon with eggs, potatoes, and sauce, is like nothing else in town. They offer bottomless mimosas for those who have nothing else planned for the day, and we promise not to judge if you had plans but cancel them because it’s too nice of a day to not laze in the sun. The greatest contribution to global cuisine by the English is fish and chips, which were first sold in beach towns as a snack. They’re still popular in beach towns, either with the traditional salt and vinegar or other condiments. At Hermosa Beach Fish Shop they’re made with codfish, which is firm but flakey, and served with tartar sauce. It comes out piping hot, so beware of the rush of steam when you bite through that crisp batter. We understand if you can’t wait and burn your lips a little – we’ve all done it. The winner hasn’t changed, but their location has. 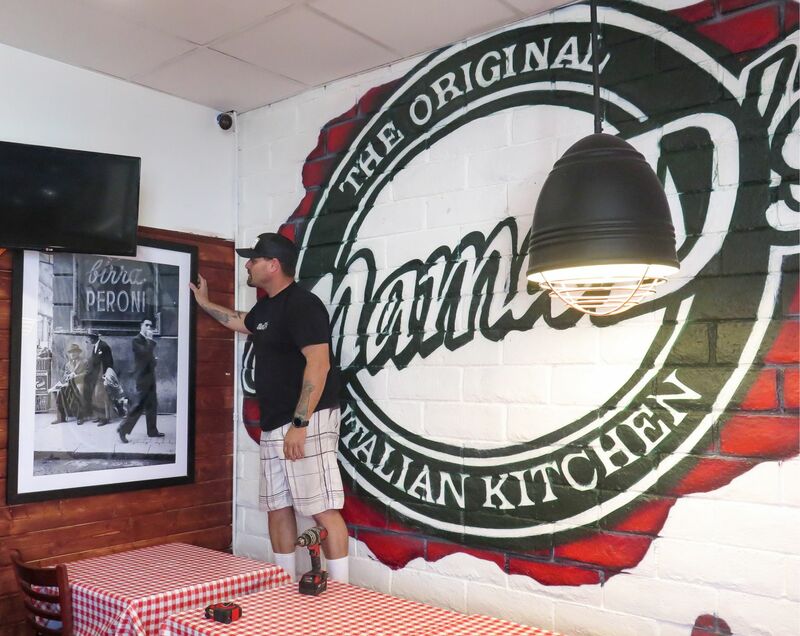 Mama D’s has proved that their popularity wasn’t just due to their great Manhattan Avenue location, because they’re back on this list in their new place on Pacific Coast Highway in Redondo Beach. A substantial percentage of their regulars have followed them because they just can’t get enough of the New York style pastas and pizzas that have made this place famous. The new neighbors are finding out about the place too, so we can expect to see the lines outside just like they were at the old place. A second Mama D’s is scheduled to open next week on Pacific Coast Highway in Hermosa Beach. The name is an exuberant statement of purpose — Mangiamo means “Let’s eat” in Italian. The classy, clubby little spot a block from the beach is always bustling with people who come for the seafood, pastas, and their exceptional veal parmesan. That wine list is solid (as it should be at any Italian place), and the bar knows their cocktails, so some people come for dinner and linger afterward in the bar. The location near the pier lends itself to an after dinner walk, a quiet moment after dinner in a buzzy, sophisticated environment. There is a general rule with wine: the better the bottle, the more austere the name. Sure, there are exceptions — Gov. Gavin Newsom’s PlumpJack Winery produces some of California’s most sought-after cabs and chardonnays under a label that alludes to Falstaff, Shakespeare’s most beloved lush. But for the most part, it’s estates and families that feel chosen to expose a lack of facility with the French language, or stark-sounding brands like Opus One that could double as espionage codenames. The puckish, DIY experimentalism of craft beer inverts this trend, and few places do it better than Torrance’s HopSaint. Take the brewery’s Double IPA, Sgt. Stadanko. It’s a pun on the police antagonist from the “Cheech and Chong” movies, and winks at the resemblance between the hops that characterize the dry West Coast style, and another sort of intoxicating herb. It also happens to be delicious. 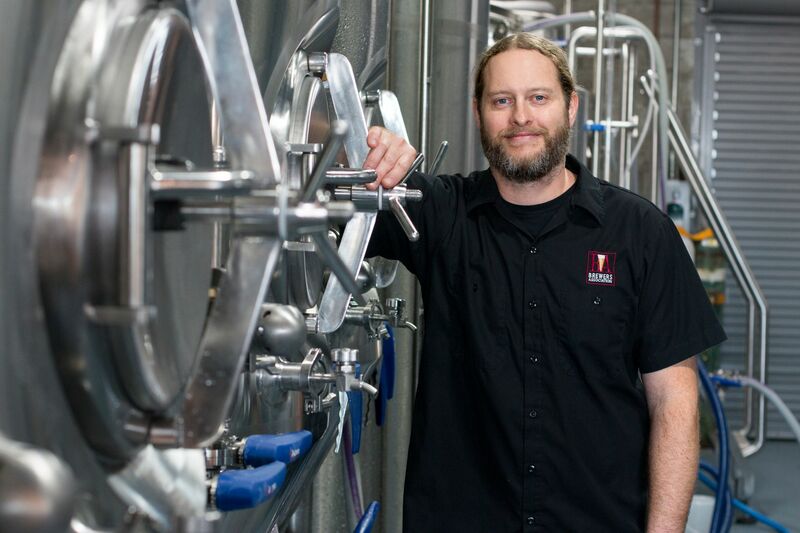 HopSaint, which opened in 2015 under former Cafe Boogaloo owner Steve Roberts and partner Christine Oliva has established itself as one of the South Bay’s premier breweries. It features a rotating selection of beers at its Torrance tap room and restaurant, and offerings like Kolsch Enough and Pure Intention Pale Ale are now sought after by some of the area’s best restaurants. HopSaint has a full kitchen, and the beer pairs easily with its well-curated, smoked meat menu. (If you happen to be there on a Sunday, by all means do not miss the chili.) But the beer is good enough to stand alone. Brewmaster Brian Brewer has come up with beers that please fans near and far. Though its brewing system remains on the smaller end, its brews have been lauded by no less an authority than the Great American Beer Festival. HopSaint’s success has made it a desirable partner, and they periodically produce collaborations with other craft breweries in the region; recently, they worked with Orange County’s Chapman Crafted. That the beer had a playful title — Bock the Monkey, a bock-style lager — should come as no surprise. HopSaint isn’t pretentious, but it sure is good. It shouldn’t be a surprise that Izaka-ya by Katsu-ya wins prizes for sushi, since the owner is one of the four top ranked sushi masters in all of Los Angeles. It makes a difference in many ways – status at the seafood market where top-quality fish is in limited supply, and the ability to keep the best staff both matter. That means you have the most experienced people behind that counter working with the best materials, and that translates to the finest meal. When you go there check the daily specials before ordering and take any advice from your itamae seriously – they know what they’re talking about. 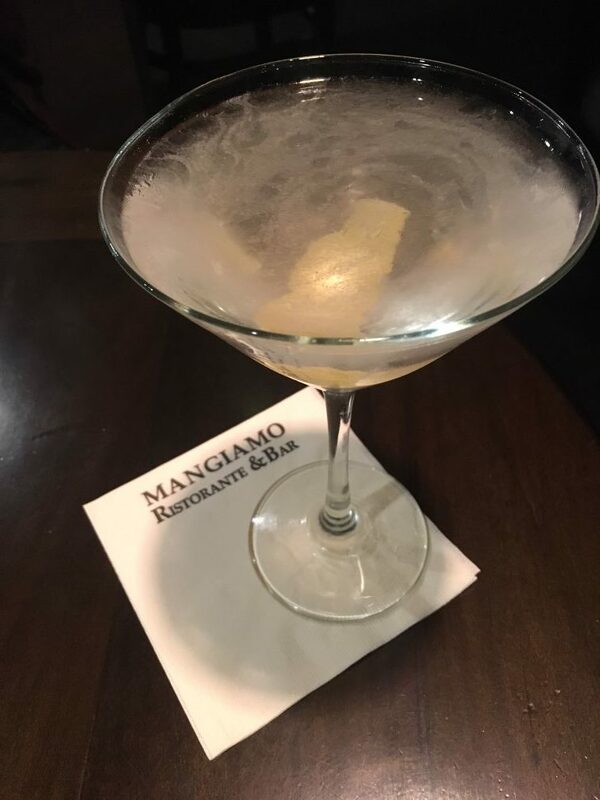 Mangiamo’s martini are respect tradition. Easy Reader file photo. Some restaurants call anything they can pour into a martini glass a martini, but the purists are adamant: it’s a three-ingredient cocktail, with gin or vodka, vermouth and either an olive or a twist of lemon. When you have something with that few elements, the balance and quality count, and that’s where Mangiamo excels. They keep a variety of gins and vodka on hand and know how to combine them in accordance with the customer’s wishes to create the perfect, refreshing, simple drink that has been celebrated and argued over for more than a century. The average visit to a wine or liquor store takes a few minutes. The average visit to Barsha can take much longer, because they have the most welcoming and hospitable wine bar in the South Bay in the back of their store. Owner Adnen Marouani is the perfect host, remembering what you liked on your previous visit, sharing a taste of something that he just opened, and generally offering the perfect balance of education and hospitality. A variety of charcuterie, salads, and snacks are available, some of which reflect Adnen’s North African heritage, and many people order several and make it a meal. So if someone wants to stop by Barsha for “just a minute,” follow them in rather than wait in the car – they could be there for a while. The Lighthouse Cafe offers more than just its longtime jazz roots, and certainly more than just ”La La Land” — though it was nice to see Southern California’s historical Mecca for jazz get its due in the 21st Century. Live music and dancing can be found at the Lighthouse every day of the week, spanning genres to give patrons a chance to find their beat no matter their style. Be it salsa dancing on Salsa Night (complete with lessons! ), “A Charlie Brown Christmas”-style grooving during Reggae Night, or however one dances to alternative rock covers, there’s room on the floor for everyone — even when tables crowd the space, a small dance space is set aside in front of the central bandstand. California-born Yogurtland Beach Cities locations are popular places for fro-yo lovers to get their fix. Each location has about a dozen flavors to try (not counting the ever-popular “swirl” option, of course), ranging from plain tart yogurt to rocket pop, boysenberry pie to chocolate and even a few actual ice cream flavors. But if one feels like they’ve gone too light with their frozen yogurt, patrons are welcome to the toppings bar, including fruit, crushed cookies and candy and boba fruit juice balls. The only limit is how heavy their stomachs, and wallets, are willing to pay for the treat. Redondo Beach resident Tiia Lyons jokes that she doesn’t go anywhere beyond the range of her beach cruiser. A friend said Lyons’ idea of a road trip is trekking to Culver City. 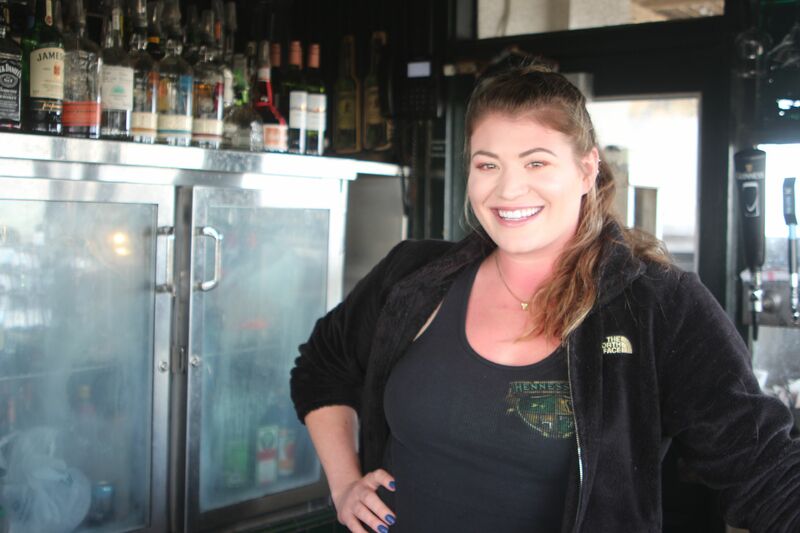 Lyons loves her job at Hennessey’s in Hermosa, where she’s been tending bar for four years, specializing in tequila-based bevs. (The secret to her margaritas? Ditch the sweet and sour mix for simple syrup and real lime juice. “Fresh juice is the game changer,” she said.) She’s glad she can brighten the days of the folks she’s serving. Brooklyn may be the epicenter of mixologist-invented craft cocktails, but Hermosa, Redondo, and Manhattan Beach have become a bustling part of the movement. So it really says something when one place stands above the rest here, and according to Best of the Beach voters, Palmilla Cocina y Tequila is absolutely the place to have a cocktail locally. Bartenders JD Ciasulli and Abby Kahan (both best bartender winners last year) have been at Palmilla since it opened in 2011, and the high-end Mexican restaurant and bar has since the beginning been about more than its 150 tequilas — though this, too, sets Palmilla apart. Against these odds, one of the signature drinks at Palmilla has become its cucumber-jalapeño martini, which also has a tequila-based counterpart. “I would definitely say the Pepino Diablo is our best seller,” Kahan said of the restaurant’s cucumber margarita. Palmilla has 11 margaritas to choose from, many with muddled, fresh, or frozen fruits, including the incredible Watermelon Cilantro Cooler.On the pure cocktail side, there are four mezcal based drinks (the Disparindo, which includes mezcal, tequila, and tamarind puree and soda, will take you to a different realm), and 11 other drinks, ranging from a chipotle-infused Bloody Maria to the Iris Azul (Jameson’s Black Barrel Whiskey hand-muddled with blueberry and basil and fresh lime juice). We are coming for you, Brooklyn. A decade after Saint Rocke opened on the corner of Second Street and Pacific Coast Highway in Hermosa Beach, the music club has transcended its cool brick walls and transformed into something more than even the sum of its considerable parts. Saint Rocke has become a revered local institution. More than 3,000 live shows have taken place at the 280-seat club, featuring many artists who rarely if ever play such an intimate venues — such as Pennywise, Citizen Cope, Lee “Scratch” Perry, John Hiatt, the Old 97s, Toots and the Maytals, Lucinda Williams, John Hiatt, Gavin Rossdale, and a few years back, the late great Leon Russell. The club also gives local musicians the best local stage to play, and has thus nurtured such native talents as Kira Lingman, Barley, and the Charities. Owner and founder Alan Sanford has exceeded even his own outsized ambitions. In early May Saint Rocke will spill beyond its club confines when Sanford presents the biggest music event in the history of the South Bay, BeachLife Festival, headlined by Willie Nelson, Brian Wilson, and Bob Weir. “We are humbled to be live venue of the year again, and excited to culminate a decade of live music into the BeachLife Festival this year,” Sanford said. A minor miracle has occurred at the little strip mall on Sepulveda Boulevard and 10th Street in Manhattan Beach. The mall’s first tenant, the Baskin Robbins ice cream parlor, which opened in 1956, has become the corridor’s most enduring business. But that’s not even the miracle. Baskin Robbins is the ninth biggest food chain in the world, just behind such behemoths as Starbucks and McDonalds, yet the ice cream parlor on Sepulveda for all the world feels like a little mom and pops operation. “We have a lot of regulars who come in and we know what they want without them even having to order,” says David Khoh, who co-owns the store with his wife Katie and a few other partners. 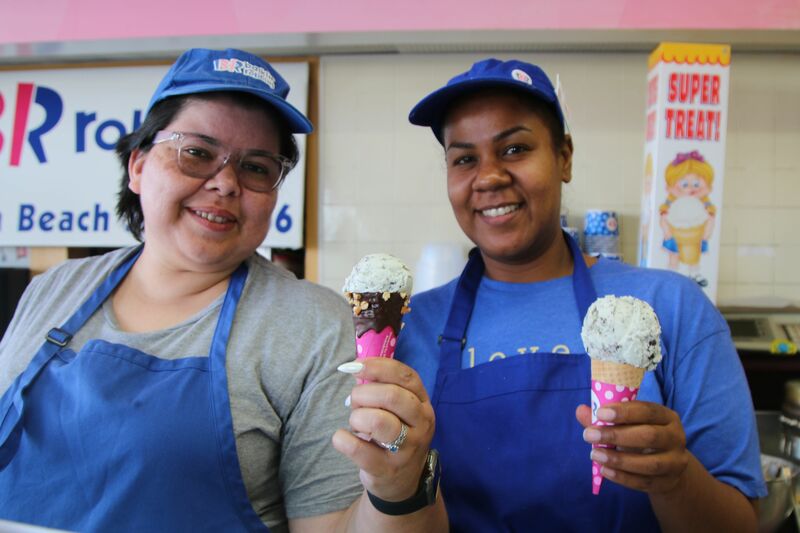 The group owns five other Baskin Robbins, but the Manhattan Beach location is by far its best, commercially and community-wise. Last summer, in a proclamation honoring the Comedy and Magic Club’s 40th anniversary and declaring July to be “Comedy and Magic month,” Hermosa Beach Mayor Jeff Duclos touted some of the innovations of the Club’s owner and founder Mike Lacey, including holding shows at earlier hours and deemphasizing alcohol sales. First among the trails blazed, however, was opening in the South Bay and breaking out of the Hollywood bubble that defined comedy at the time. 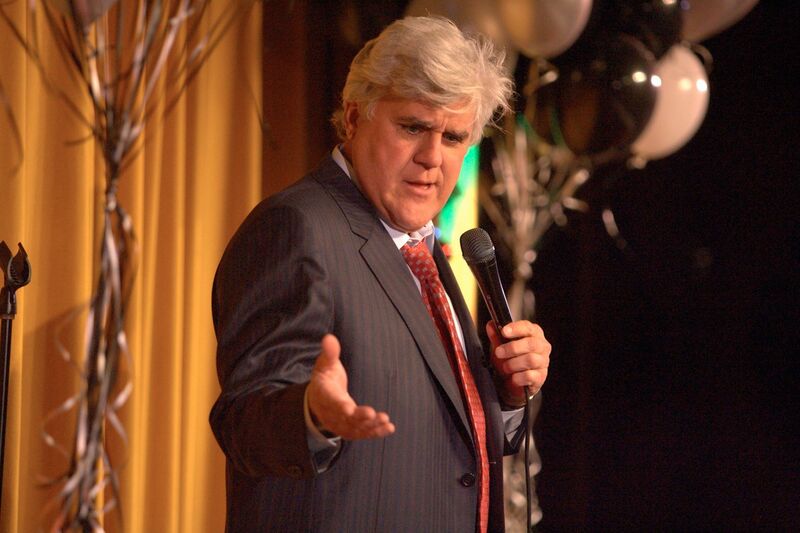 “He gave comics and magicians a new performance venue in an outlying area of Los Angeles. The heart of Hermosa Beach is on Pier Avenue, midway between the ocean and the highway. There, at the corner of Manhattan Avenue, is a rustic red, 1929 beach cottage that has defied a century of wrecking balls. Since 1992, the cottage has been home to Java Man. 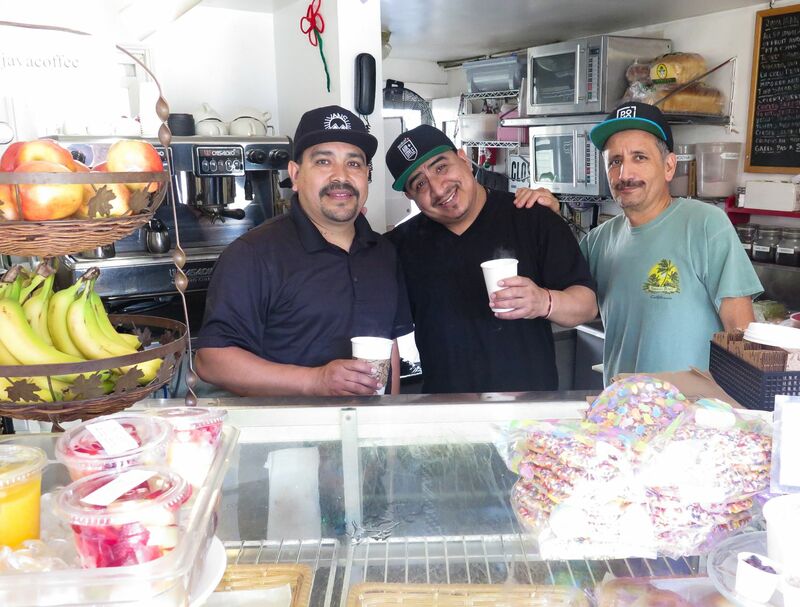 Owner Rick Hankus keeps the heart of the town pumping with a long time brew crew that includes cashier Daniel Nava, Jesus Garcia and Nick Herreira. Nava makes change faster than a slight of hand artist and Garcia and Herreira pump out the orders orders with a cheery efficiency that keeps lines short on the busiest days. BevMo is to liquor stores what Amoeba Music is to record stores: a giant operation with multiple locations that somehow manages to earn the devotion of the committed and knowledgeable. 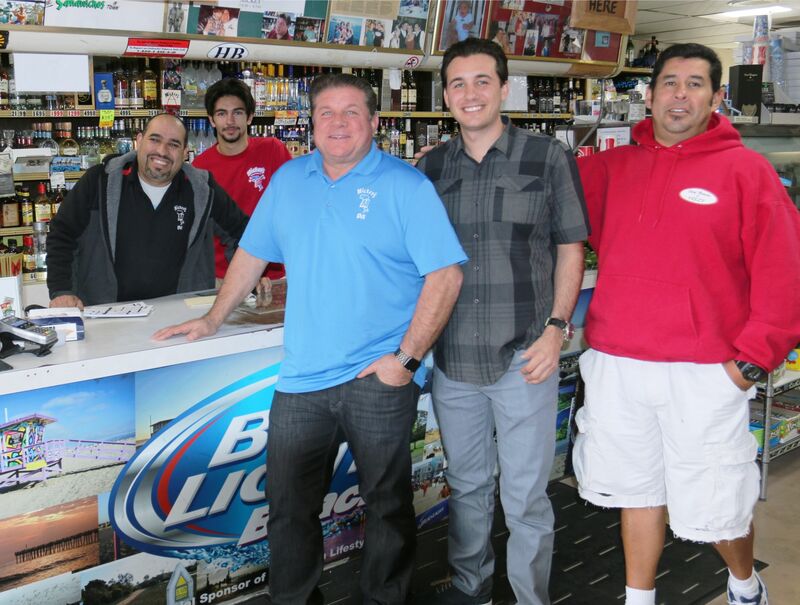 The Manhattan Beach store is arranged, how else, by alcohol. 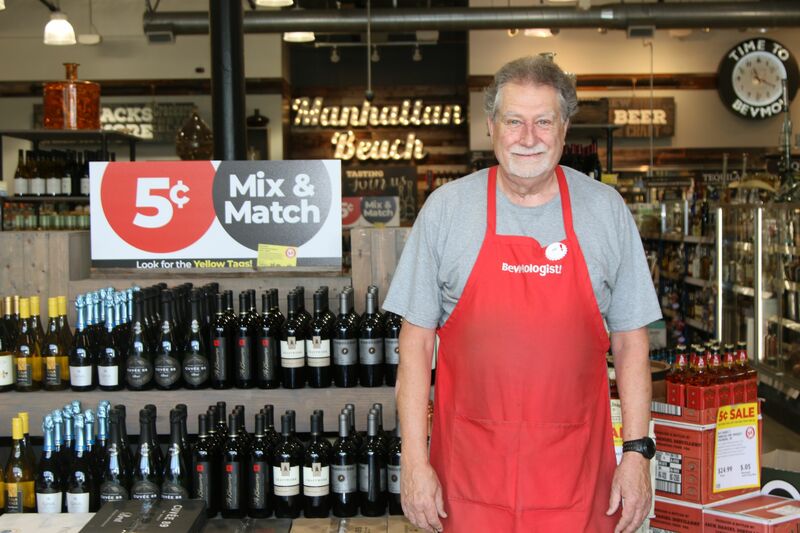 Wine is up front, and the store has recently rolled out a deal in which, after buying one bottle of wine, customers can get another for only a nickel. Beer is in the back, and the region’s expanding thirst for craft beer makes BevMo’s ample shelves a destination. The booze is in between, with everything from a quick fix to the sort of bottle you pull out for graduations and birthdays ending in zero. If you can’t find it, they can probably order it, although, given the selection, you might just walk around, and find something better. Resin is a creative laboratory and home to the 30 fine artists and photographers that comprise the South Bay Artists Collective. It’s success is due to the boundless enthusiasm and hard work of Rafael McMaster. 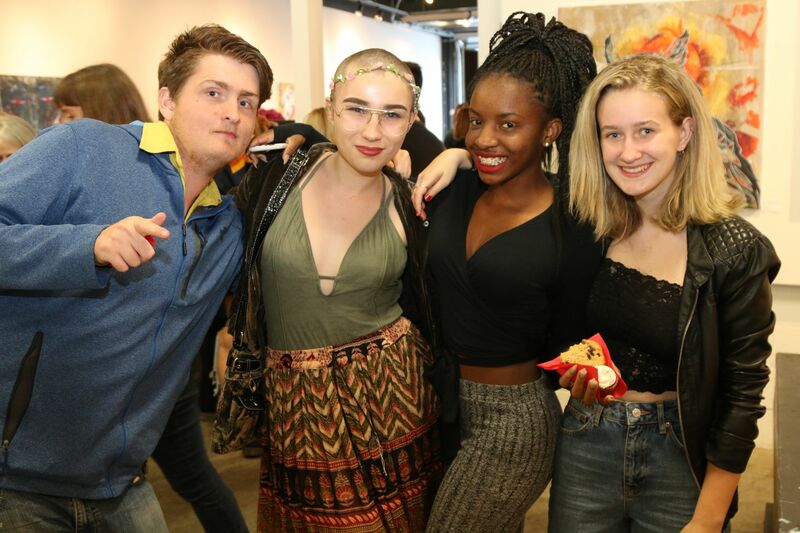 Resin hosts quarterly shows such as “Water & Wood” and “Symbiosis,” and these have featured over 100 local artists while also serving as a community space in support of local schools’ art programs, such as the Mira Costa High School Visual Arts Department. Resin complements the featured artwork and photography with a Creative Lab in the back, where the SBAC Youth Program and Collective members are constantly at work developing and furthering their craft. Along with Mike Collins and Laura Schuler of neighboring ShockBoxx, Resin has enlivened art on Cypress Avenue in particular and Hermosa Beach in general. While gearing up for “Dylandfest 29,” to be held outdoors on Torino Plaza in the Torrance Cultural Arts Center on Sunday, May 5, Andy & Renee are putting the finishing touches on their 16th studio album, “Fuse32”, to be released this summer. It will be their first album of original songs since “Many Miles to Go” in 2011. The duo first began performing in Hermosa Beach in 1986, and have never stopped. Their music has been the ticket that’s taken them to Canada, Ireland, Italy, China, and of course, all across the USA. They wish to thank the band members of Hard Rain, and especially their generous and enthusiastic local fans, for a career that’s now in its third decade. 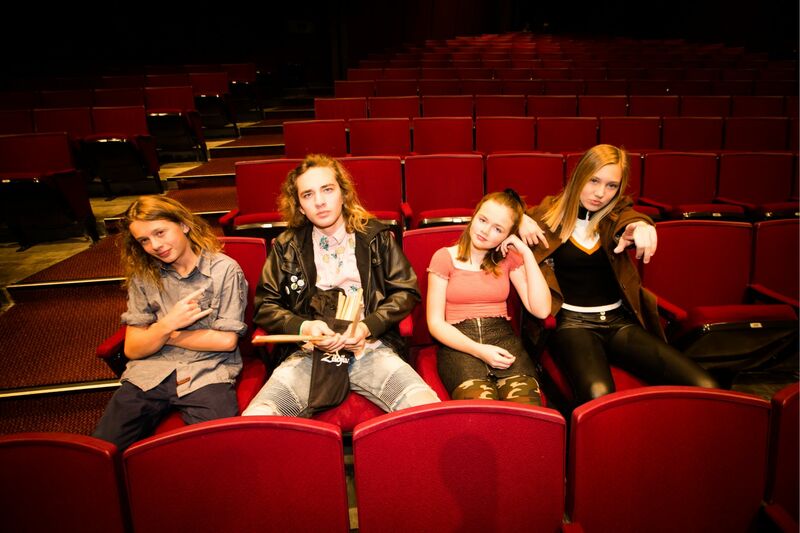 XYZPDQ four rock musicians, aged 13 to 15, are lead singer Nicolette Obuljen (Miraleste Intermediate School), lead guitarist Salem Meade (Manhattan Beach Middle School), bassist Julian Bailey (Redondo Beach Union High), and drummer Dax Corcoran (Palos Verdes Peninsula High). Their influences? Led Zeppelin, Red Hot Chili Peppers, Aerosmith, Slash, X, Stone Temple Pilots, and the Foo Fighters. They’ve got several dates lined up, including Brouwerij West’s POPFUJI Summer Concert Series (San Pedro), Concerts in the Park (Manhattan Beach) and Stomping Grounds (Manhattan Beach).